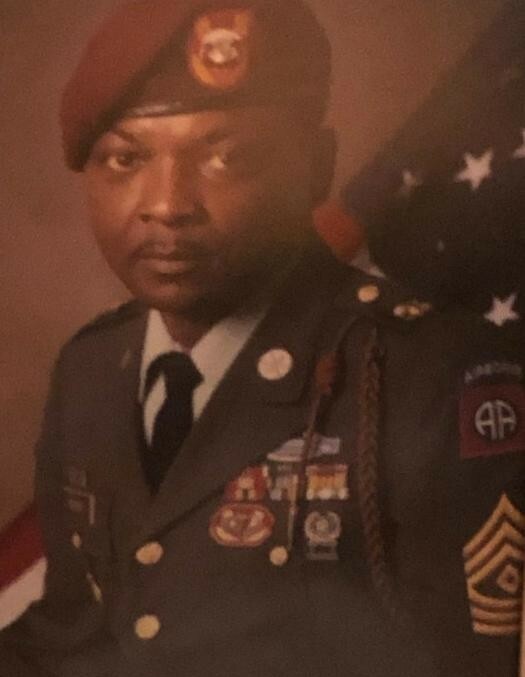 Retired Army First Sergeant Darryl Paul Murray age 74, of 8411 Cartman Drive, Fayetteville, NC departed this life on Sunday, April 14, 2019. Funeral Services will be held on Tuesday, April 23, 2019 at 10:30 AM in the Fort Bragg Main Post Chapel. Burial: Sandhills State Veterans Cemetery. He leaves to cherish his loving memories: wife; Janet Murray sons, Darryl Murray, Jr., Terrence Murray, Dwayne Pelham; daughters, Adina Murray, Paula Newerls and Michelle Pelham, 20 grandchildren, 12 great grandchildren and a host of other relatives and friends. Viewing: Monday, April 22, 2019 from 2:00 PM to 7:00 PM at the funeral home.